Year 2015 was very memorable year for me and my classmates who had just completed 3 years of study in the University. After completing the hospitality management course, 14 classmates and I got an opportunity to join Shangri-La’s Sanya Resort & Spa, Hainan as an internship trainee. As it was our first time to travel abroad, going to be far from our family, friends and relatives, every body was quite upset and nervous. Once we reached Shangri-La’s Sanya Resort & Spa, Hainan, all of us were very surprised to be welcomed and treated as family members. The friendly and helpful behaviour of all Shangri-La colleagues made our days easier. We had never assumed that our one year would pass so quickly. Finally, we completed our internship at the end of 2015 – the moment that we were very upset to leave that heart-warming family. Before going back to my country, I decided to continue being in the Shangri-La family so I applied for a vacant position. Luckily, I was selected and now I am working as a service associate in one of the Shangri-La properties. Y2K bug, also known as the Millennium bug, caused quite a stir at the start of 1999. It finally came to 1 January 2000, the start of the new millennium. We all looked forward to spending the momentous event with our loved ones. But the hotel feared that some accidents might happen, so the entire HR workforce was called for an overnight duty. We were tasked to manage specific areas in the hotel as back-up support in case of any eventuality at the turn of the millennium. At last, nothing unfortunate happened but I got to spend my first New Year’s away from my family. I must admit, I turned a bit sentimental as I watched the majestic fireworks together with the Duty Manager & a few Security Officers in the open parking space (where One Shang now stands) at the Garden Wing entrance. Since everything went well, party time ensued at the entire lobby area where guests and colleagues were served unlimited drinks. At the time, half of my heart wanted to race home and catch up with my family, but then we were all asked to stay until everything (and everyone) has settled. It was one true experience of being “home away from home”, spending a joyous occasion with a “family away from your family” that I will never forget. 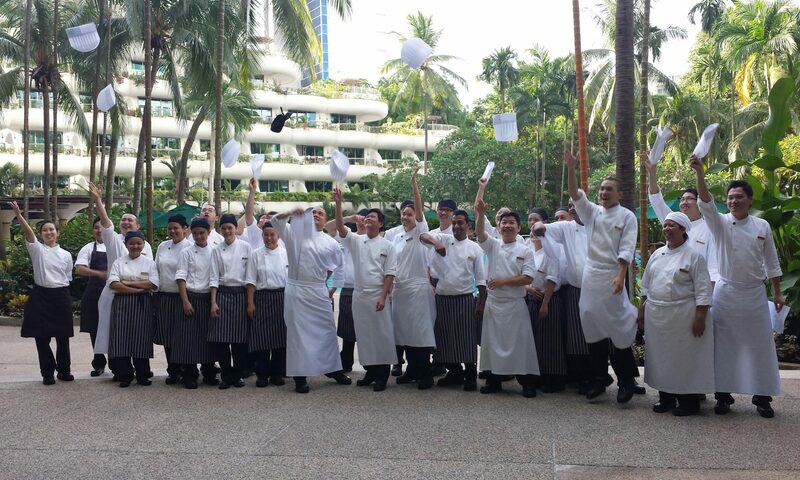 I started working with Makati Shangri-La, Manila (SLM) as a student intern in 1999 – this was my first HR Family. After I graduated and entered into a regular job in SLM, these people have treated me as part of their family. They treated everyone fair, and they shared their passion for work, their perseverance, their expertise in HR which created that love inside of me for the job I am now a Training Manager. Being part of this team has really made an impact to what I am now. The care and support they gave me really made Shangri-La a paradise for me. Although we are now separated, the time we had together shall forever be one of my fondest memories in Shangri-La.